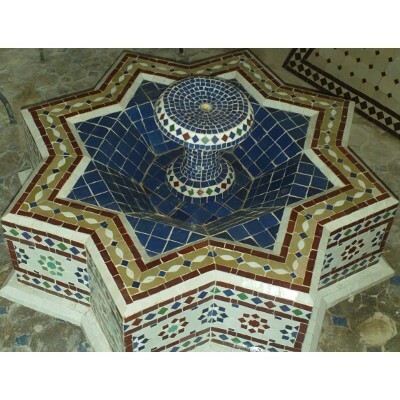 Star Zellij Fountain made in Marrakesh, Morocco. Hand-cut tiles, hand-crafted product. Star Fountain comes with a water pump using a closed system. 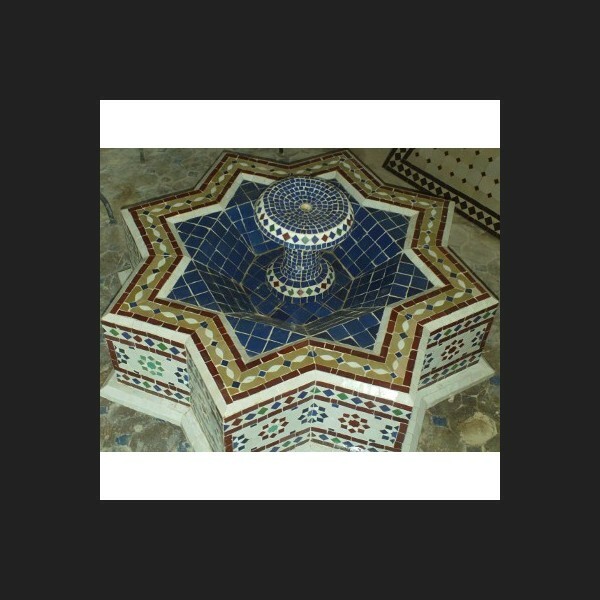 Just enjoy the water sound from your Moroccan star fountain at home, inside or outside.